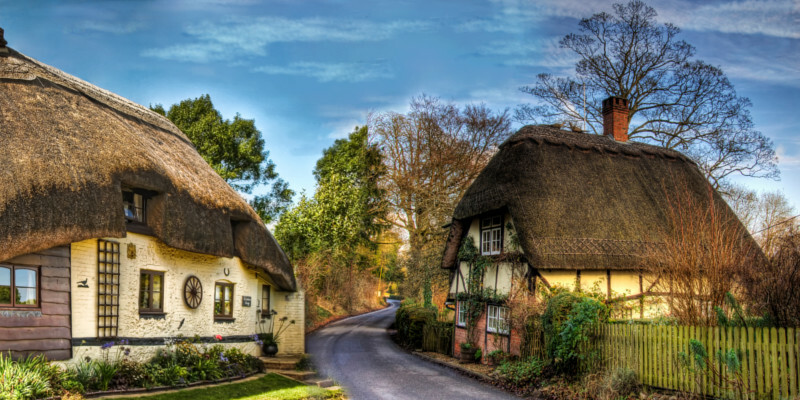 Everyone deserves a place to escape. 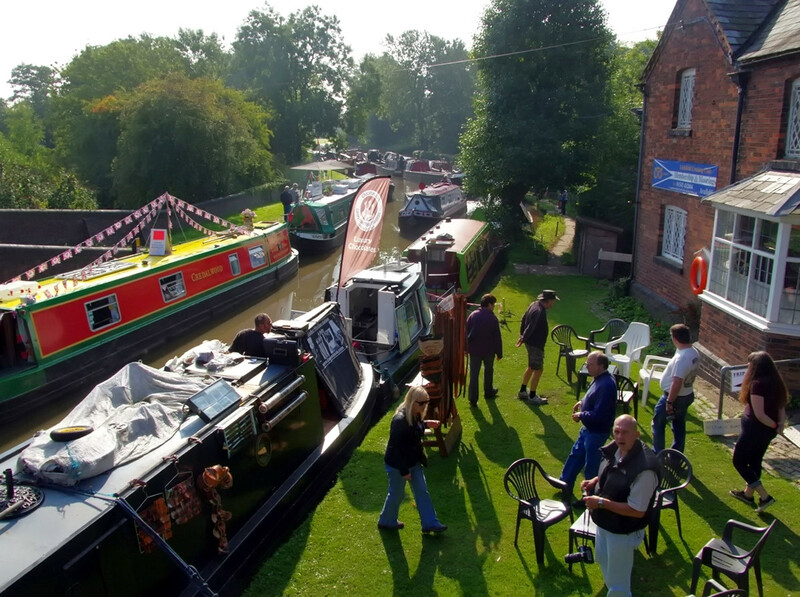 And that’s exactly what Britain’s canals provide with their idyllic tranquility, natural beauty, and over two hundred years of history. 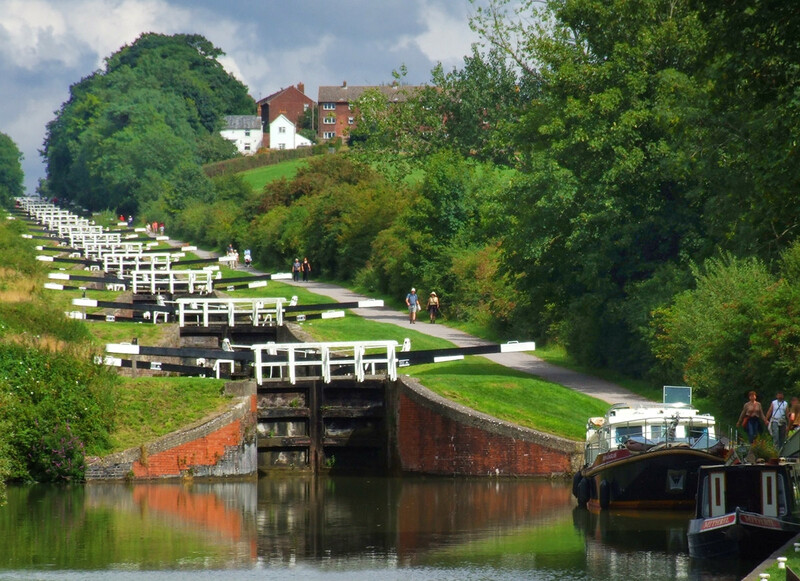 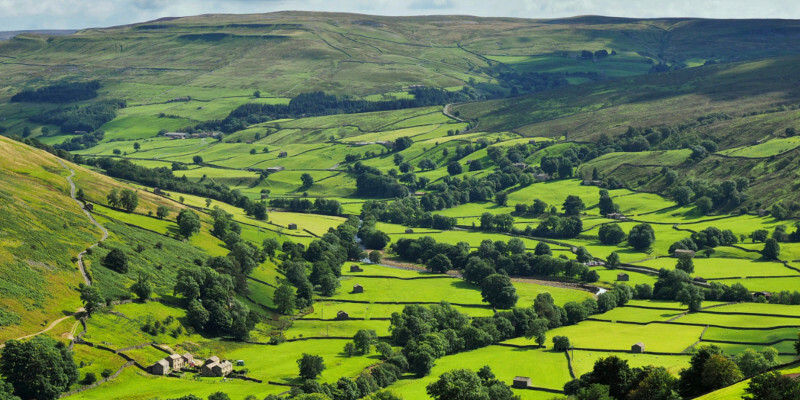 Whether you’re boating, walking, cycling, or fishing, Britain’s canal network will delight and surprise at every turn. 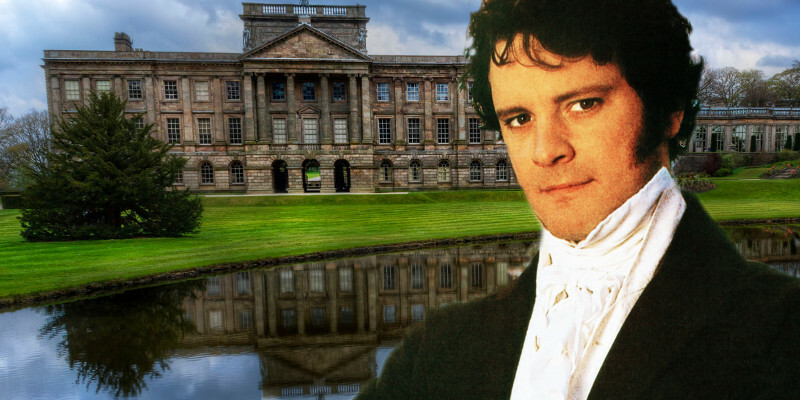 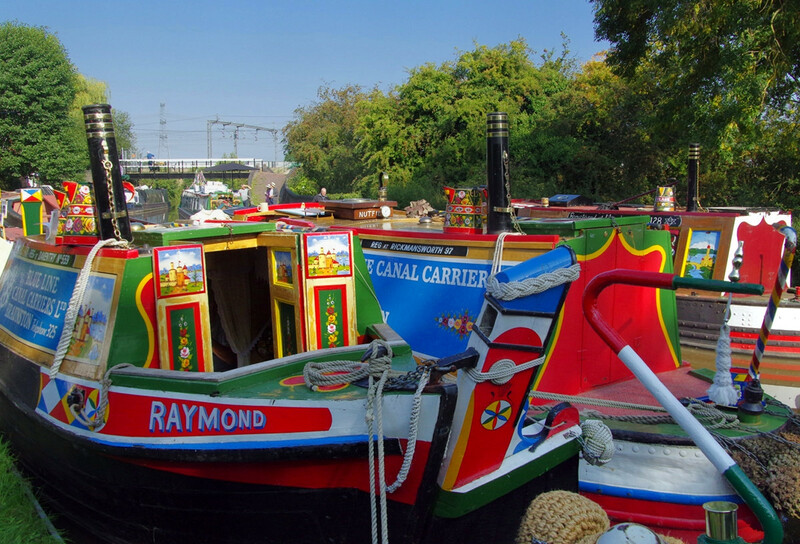 Here are 7 reasons to fall in love with Britain’s canals. 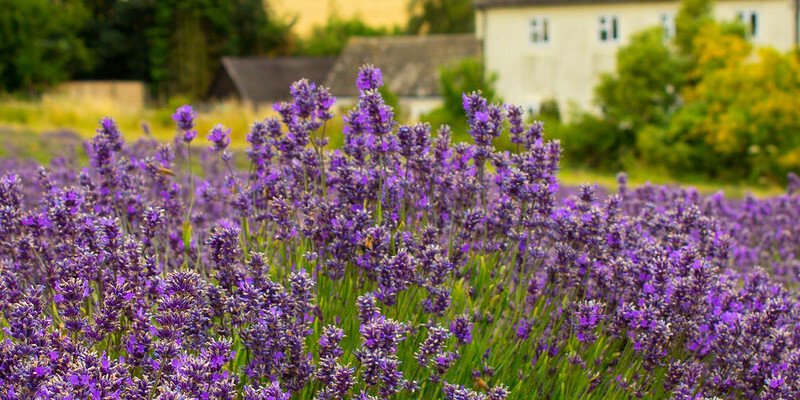 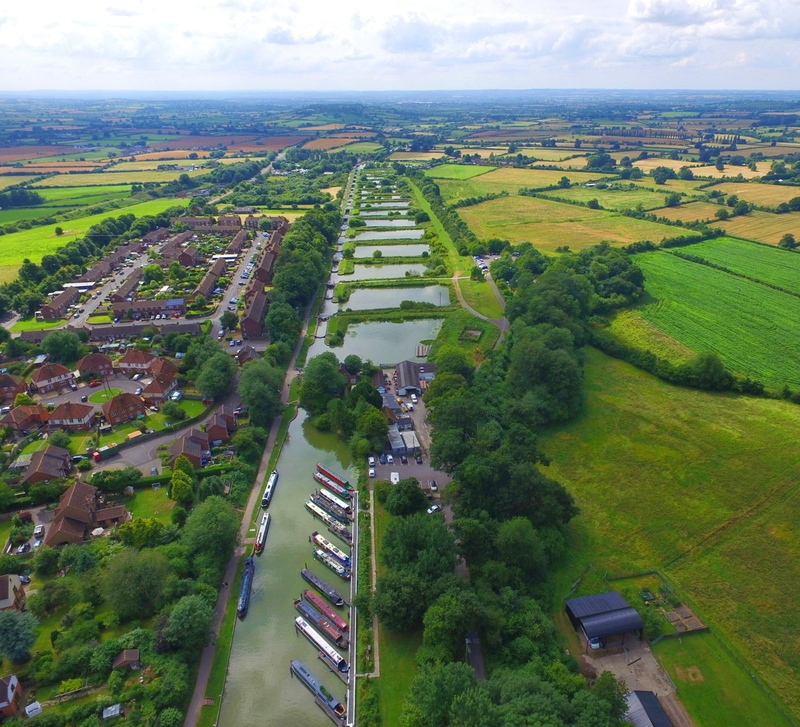 Although the first canals were built by the Romans for irrigation and land drainage, the canal network we know and love today is largely a product of Britain’s industrial heritage. 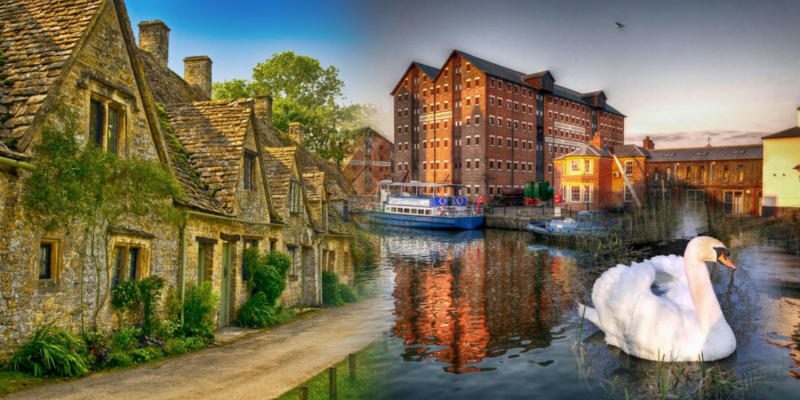 As the epicenter of the Industrial Revolution, Britain needed a more efficient “mass transit” system to bring raw materials to factories and take finished goods to coastal ports for export. 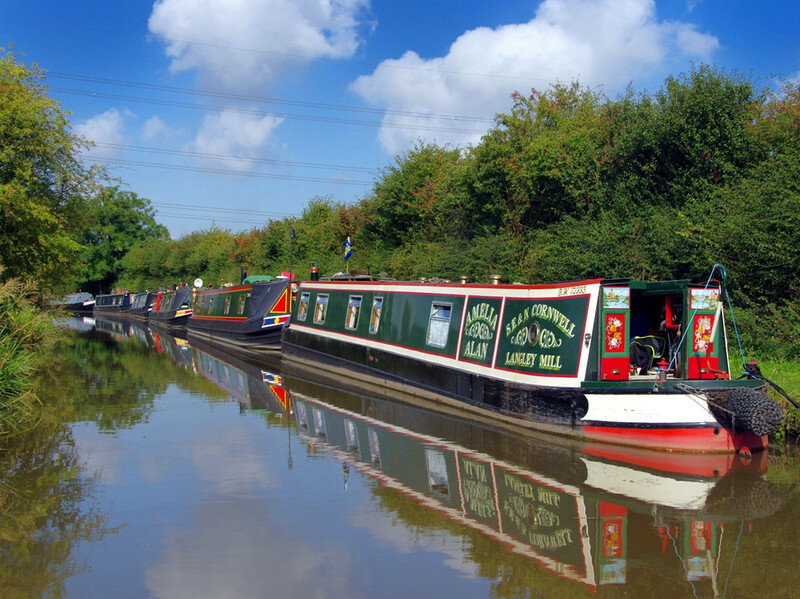 And so Britain became the first country to build a nationwide canal network. 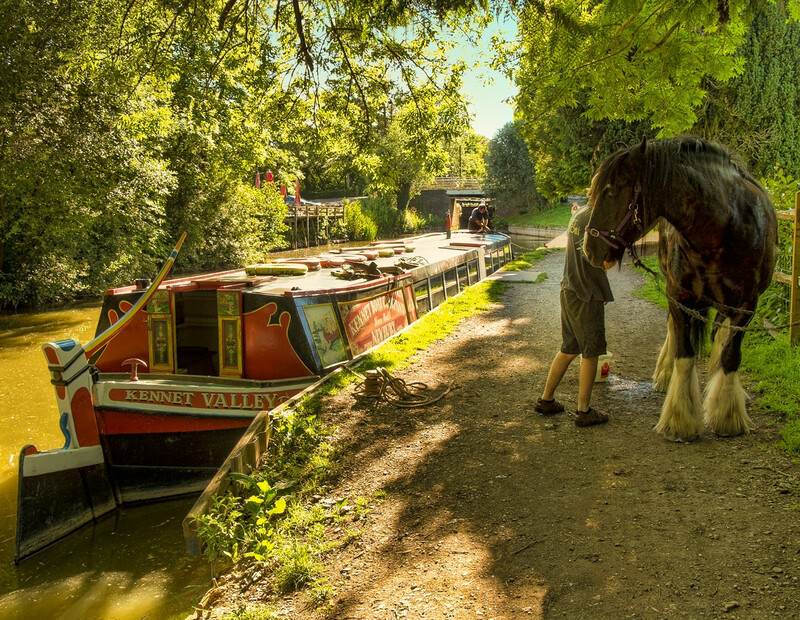 Horse-drawn narrowboats with a towpath alongside for the horse to walk along were standardized across the British canal network. 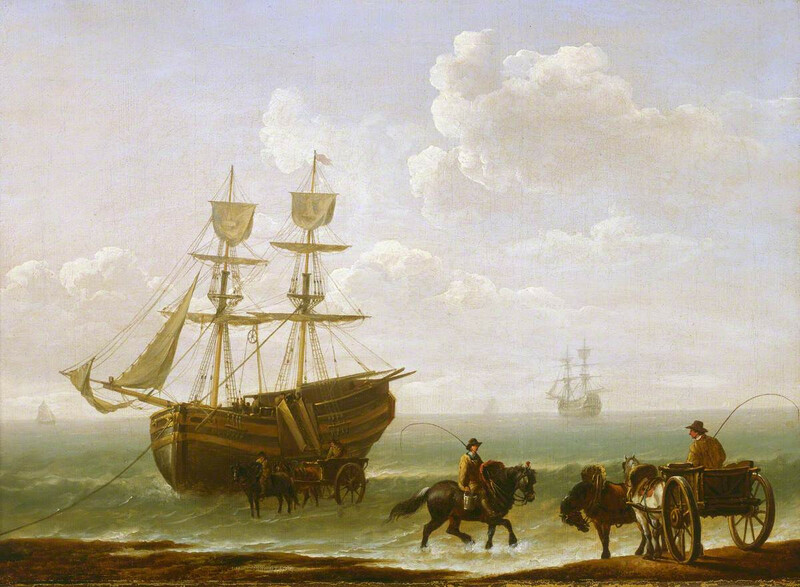 Before the canals, transport of goods was mainly via coastal shipping and horses & carts struggling along mostly unsurfaced mud roads. 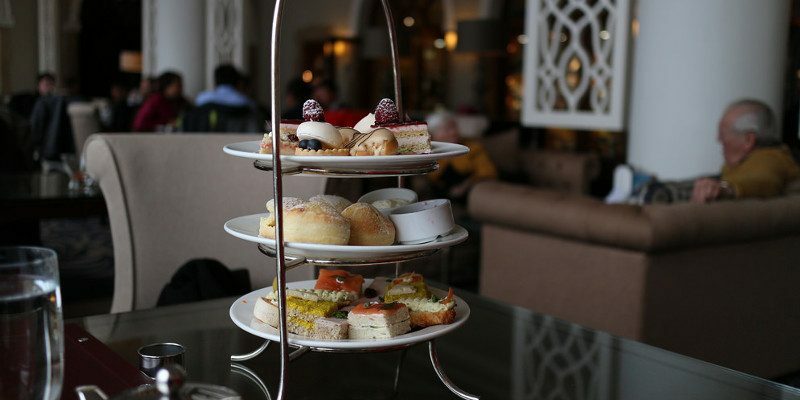 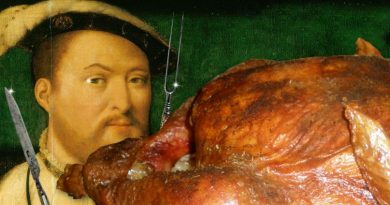 What do afternoon tea and canals have in common? 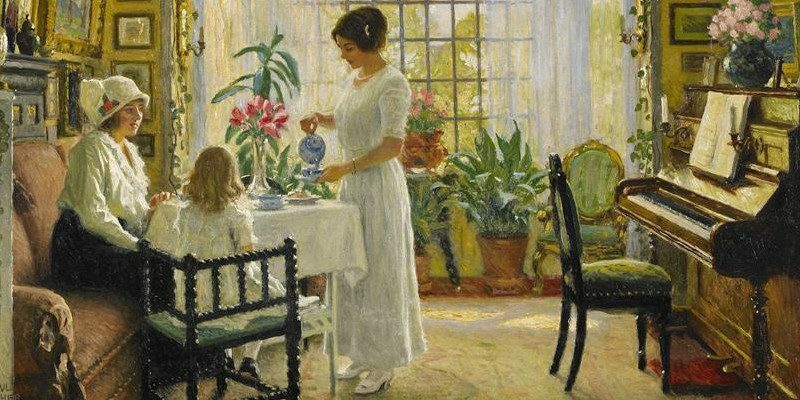 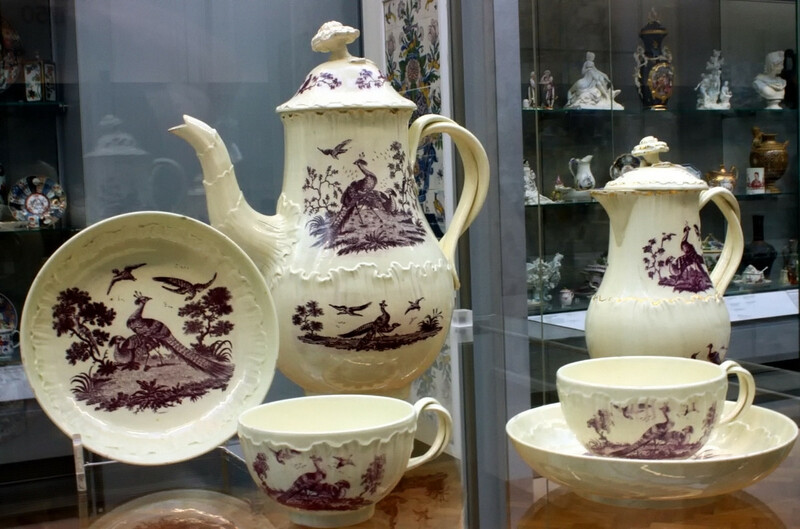 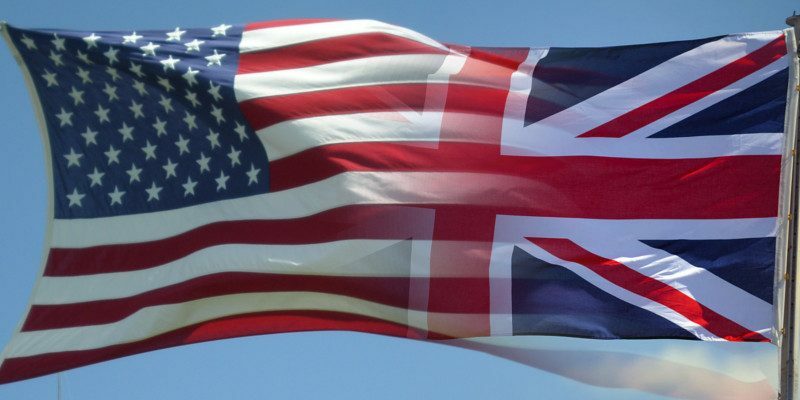 If you were running a pottery factory like Josiah Wedgwood (1730 – 1795), making fine china tea sets for export all over the world, the method you used for transporting such fragile and expensive goods was very important. 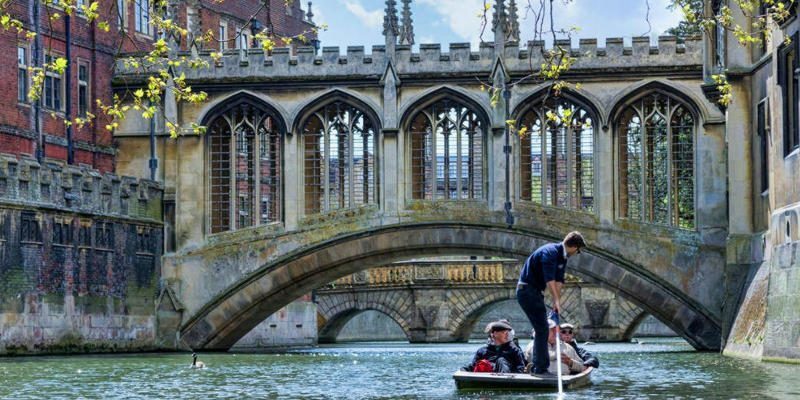 Gliding along the water had advantages over the jarring, bumpy ride of packhorses or horse drawn carts, not to mention the sheer weight of goods carried by barge making the economics much more favorable. 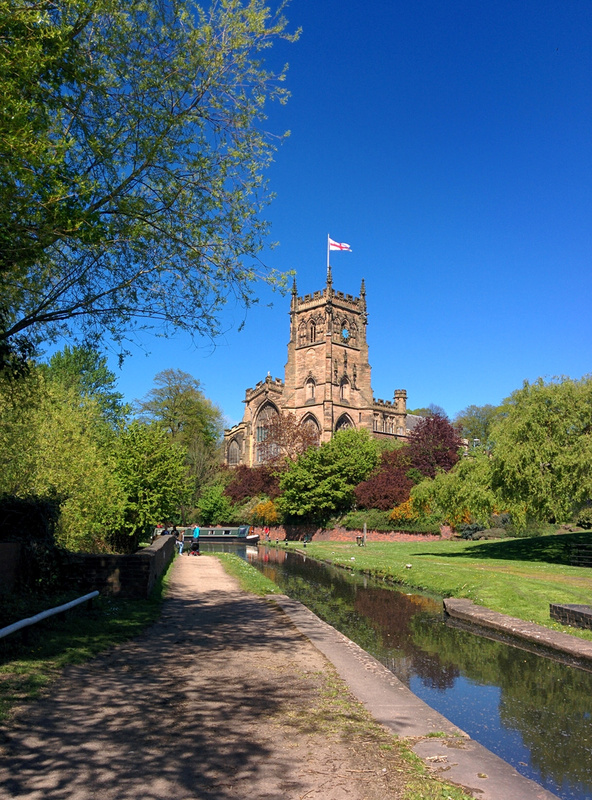 Unsurprisingly then, the pottery manufacturers of Staffordshire were amongst the first promoters of canals. 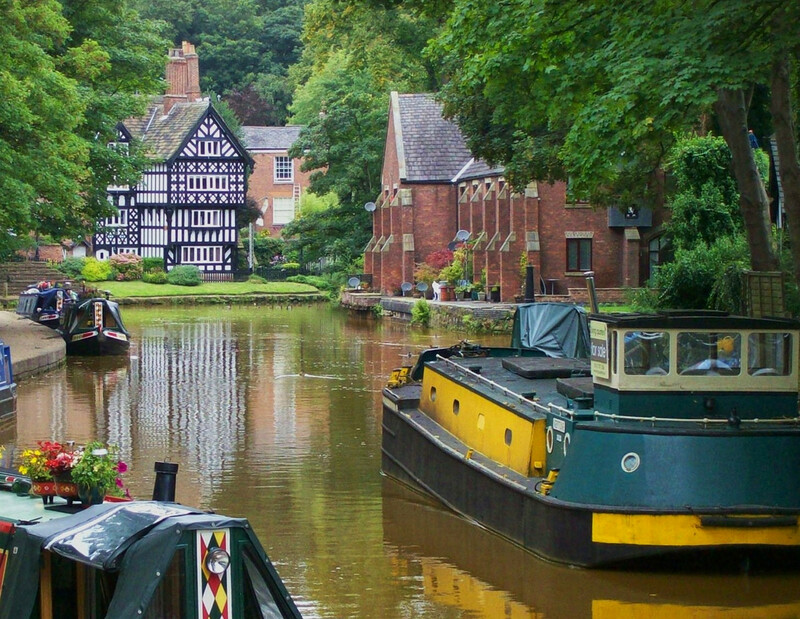 Often called the “Golden Age” of British canals, the period from 1770 – 1830 saw rapid industrialisation of the Midlands and the North of England. 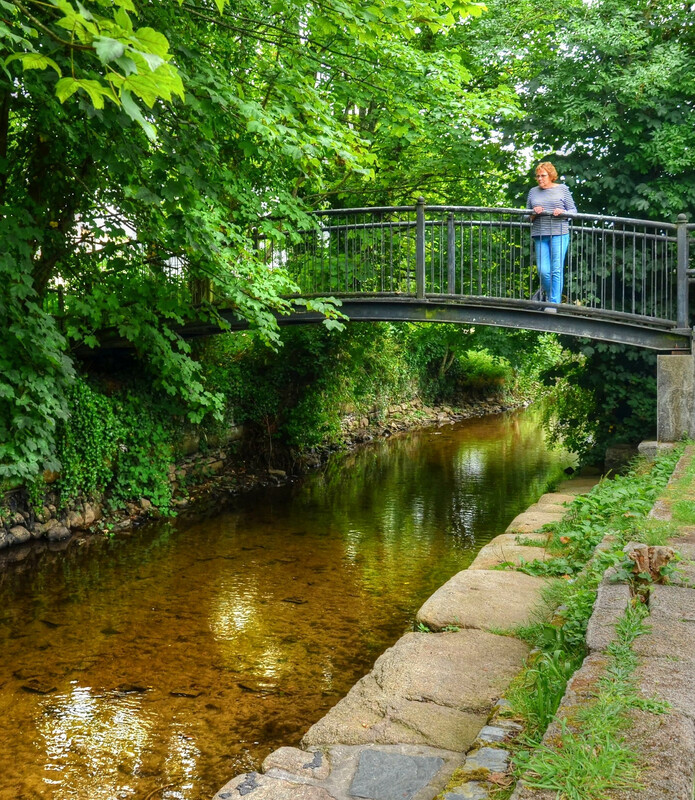 But from about 1840, a new type of network was being built—one that threatened the canals and would lead to their eventual demise: the railways. 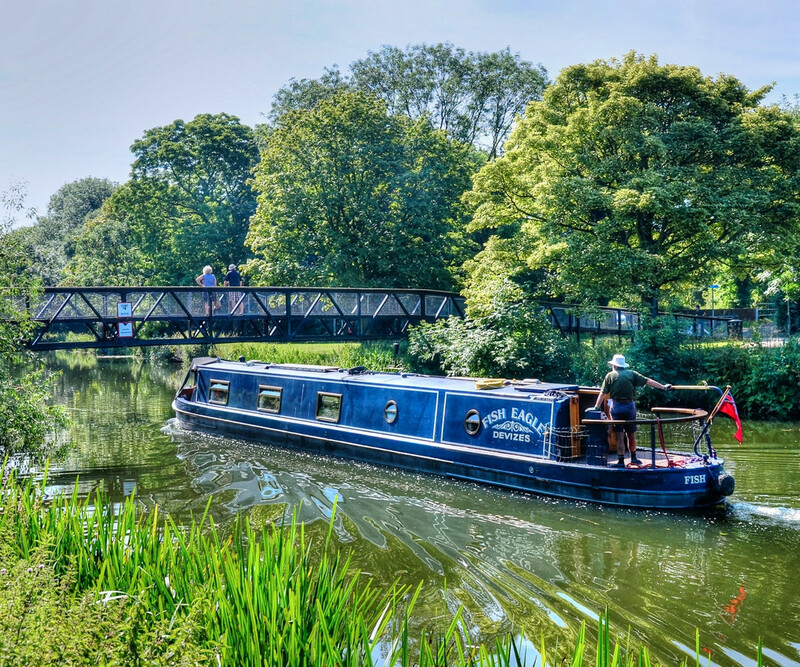 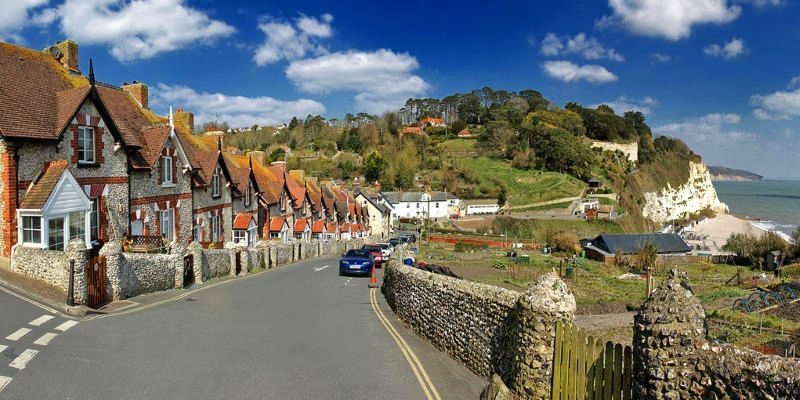 Fortunately, after a long period of neglect, Britain’s canals were renovated and returned to their former glory—this time as byways for leisure craft on lazy Sunday afternoons or as relaxing canal cruise vacations. 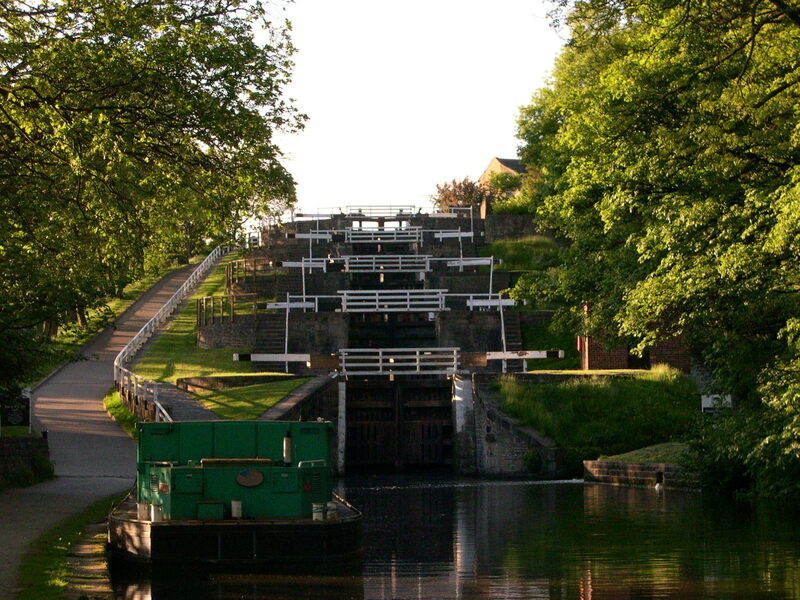 Economic and engineering constraints of the 18th century kept canals narrow, with many locks built to just 7 ft 6 in wide. 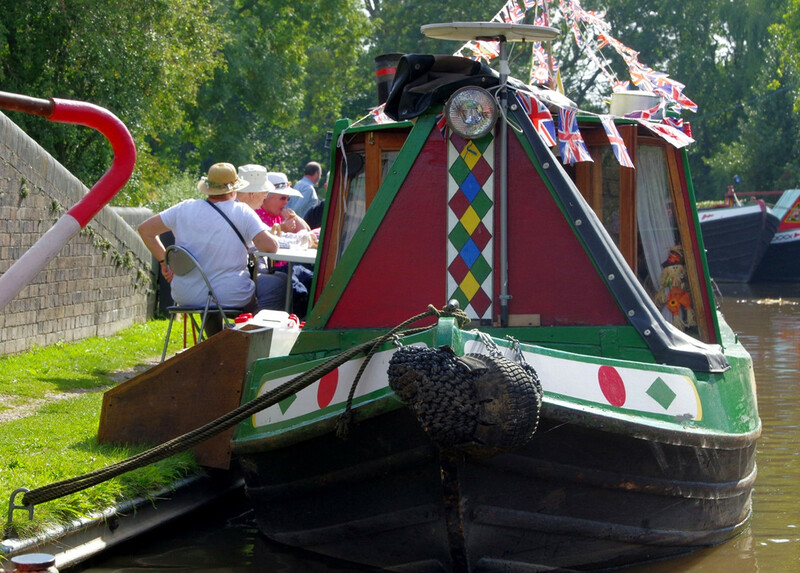 This narrow gauge limited the beam (width) of the boats, which became known as narrowboats. 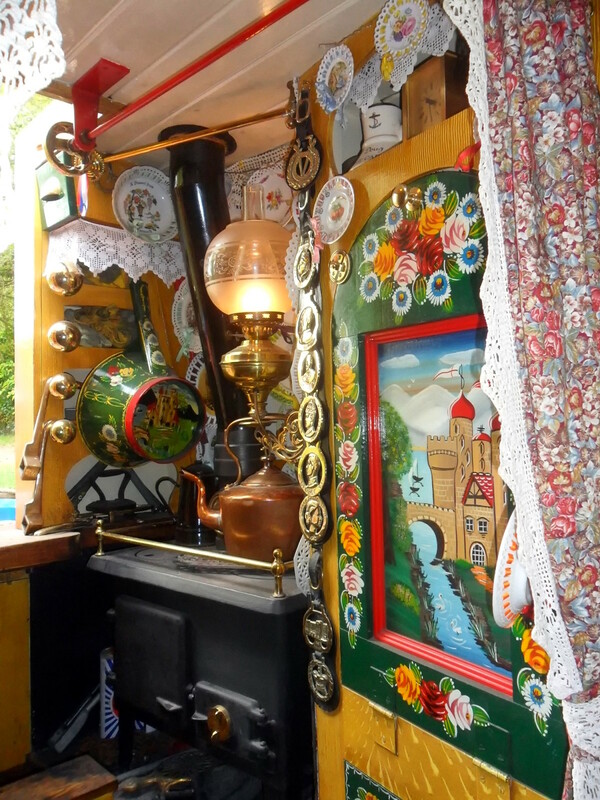 Competition from the railways forced boat operators to live on board, converting the rear portion into ingenious tiny living spaces complete with hot stove, steaming kettle, brightly painted decorations, fancy lace, and polished brass. 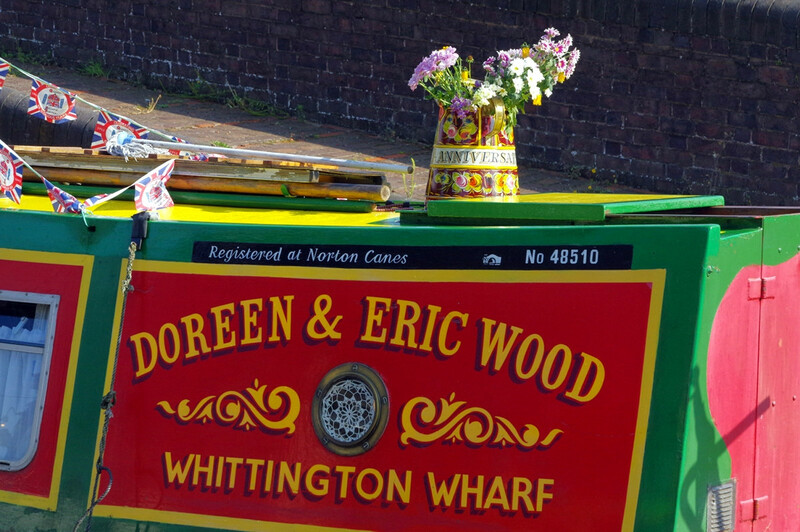 By the late Victorian era, it was common to paint roses and castles on the narrow boats and their fixtures and fittings. 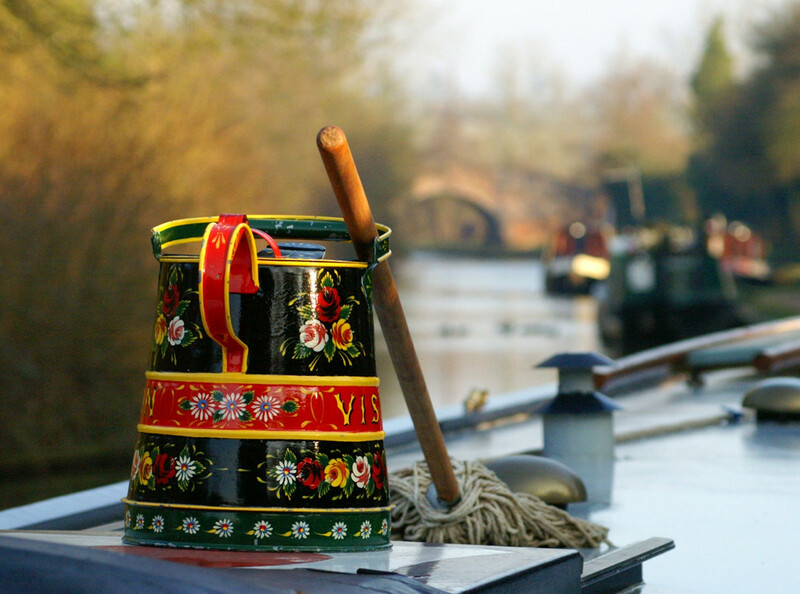 To this day, owners still personalize their narrowboats with their own unique touches. 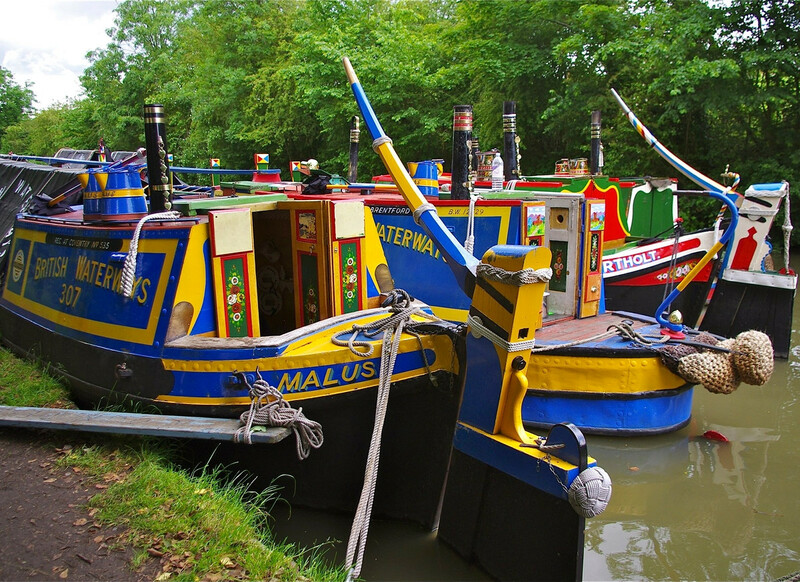 Navigable in its entirety in a narrowboat of 7 ft wide by about 56 ft long is a network of some 2,200 miles of inland waterways just beckoning to be explored. 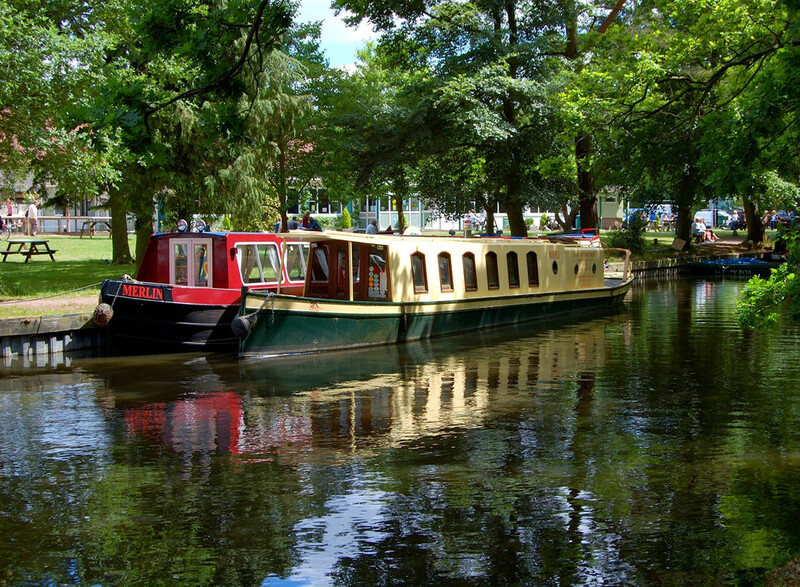 Narrowboating transports us back to a time without road rage when travelling at 4 mph was considered hurried. 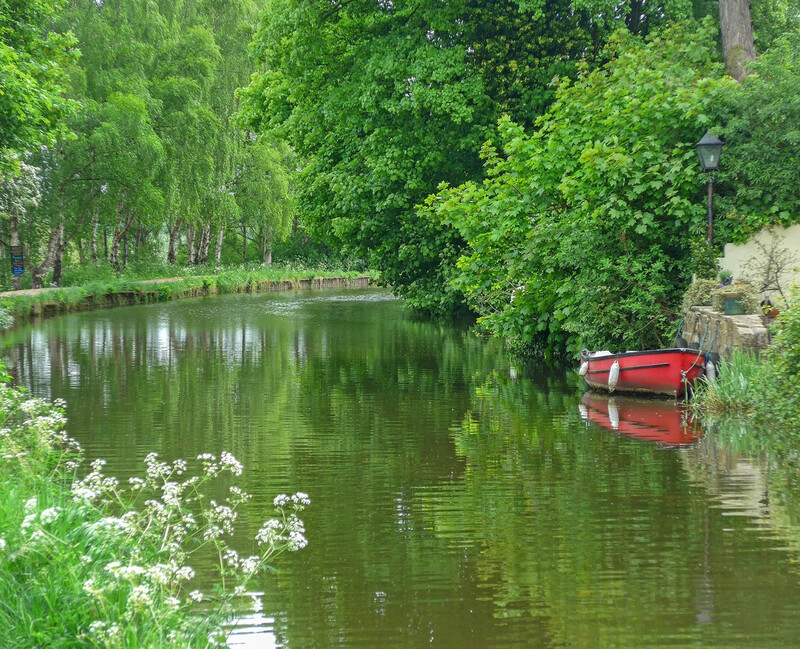 Once the highways of the 18th century, the canals are now corridors of green best enjoyed at a leisurely pace. 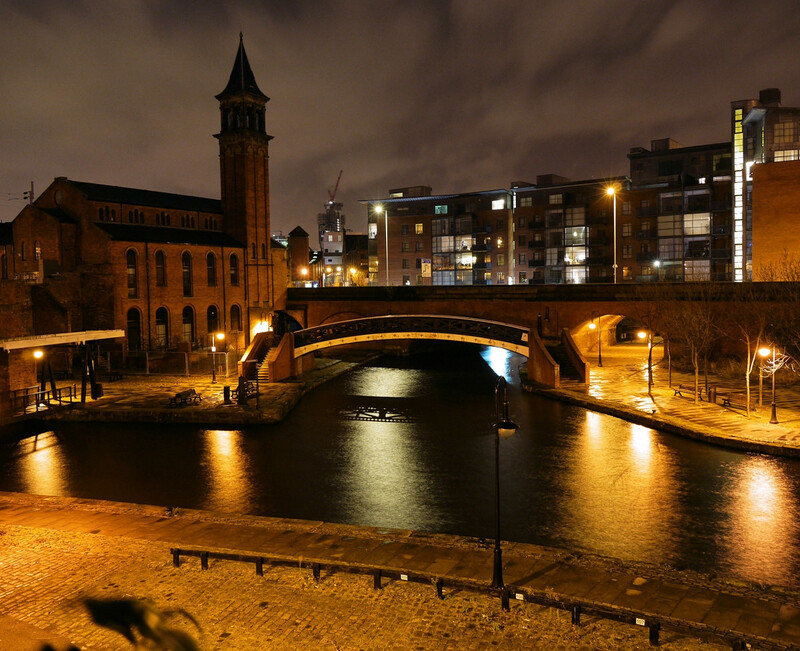 As the Industrial Revolution took hold at the end of the 18th and beginning of the 19th century, the technology allowed canals to be improved. 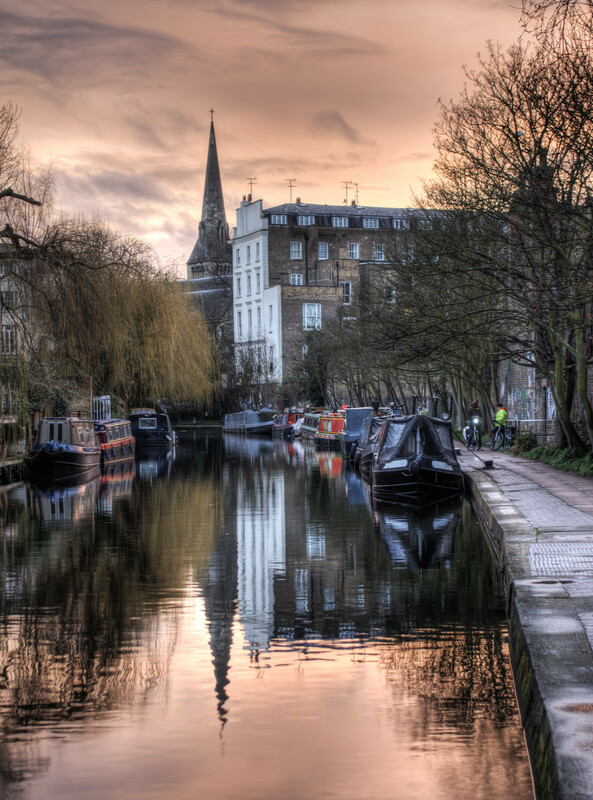 Early canals contoured round hills and valleys, whereas later ones went straighter. 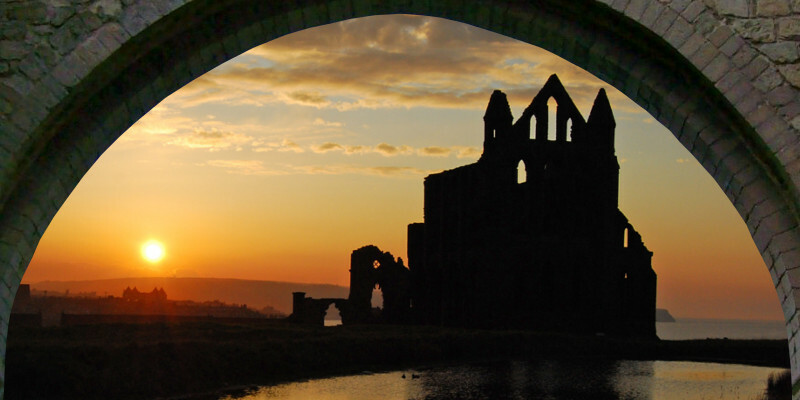 Locks took canals up and down gradients, aqueducts spanned valleys, and tunnels went directly through hills. 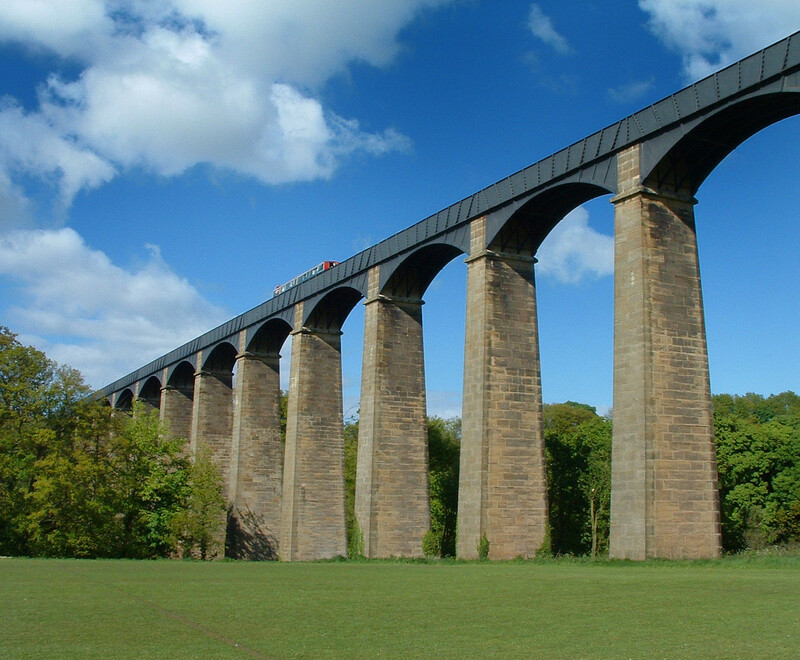 At 1000 ft long, the Pontcysyllte Aqueduct on the Llangollen Canal spans the River Dee Valley in Wales and is Britain’s longest aqueduct. 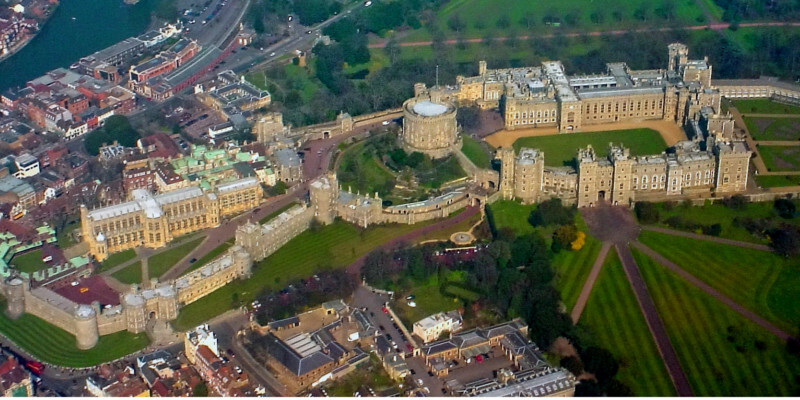 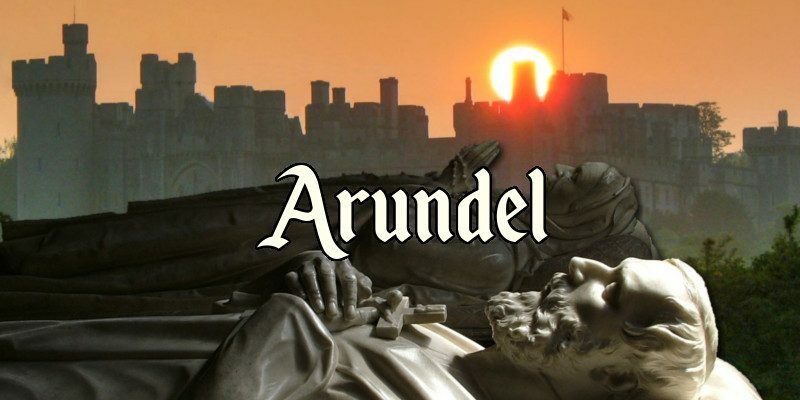 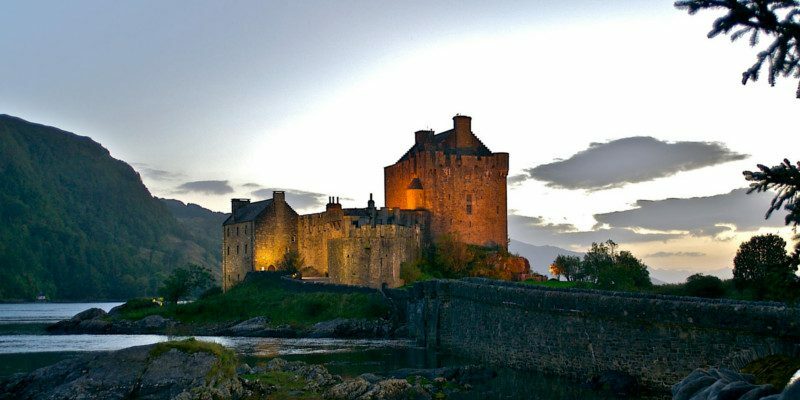 The 18-arch stone and cast iron structure took ten years to build. 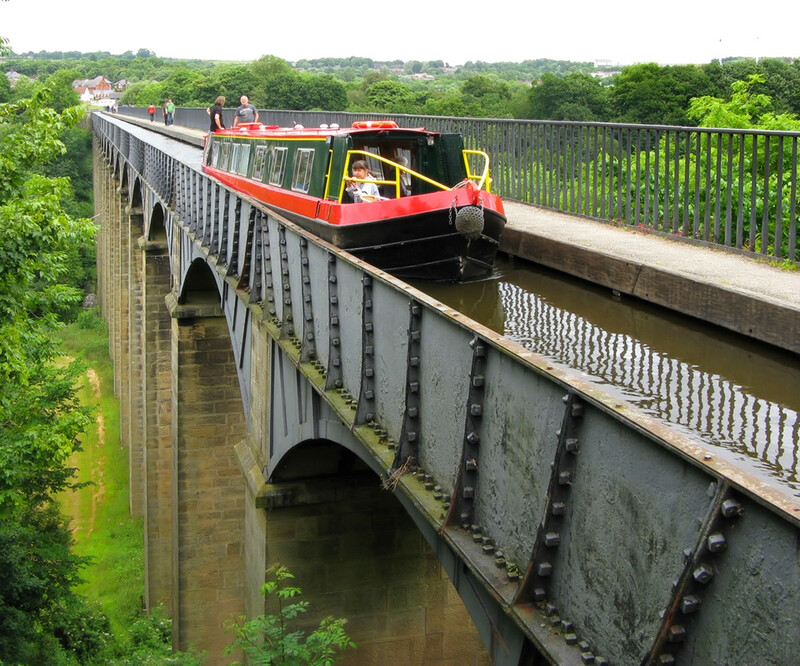 Opening in 1805, it is the oldest and longest navigable aqueduct in Great Britain and the highest in the world. 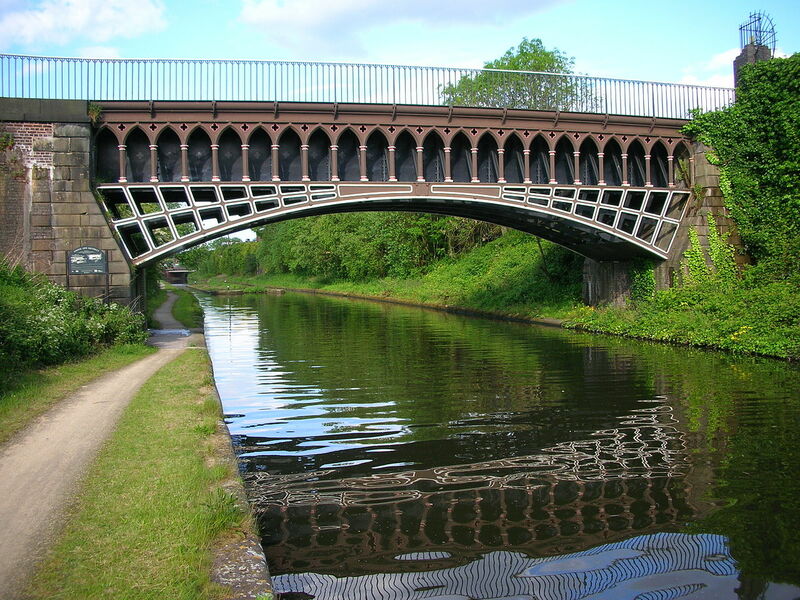 With its 52-foot span, the Engine Arm Aqueduct near Smethwick in the West Midlands is much smaller, but its ornate cast-iron Gothic arches and columns make a splendid sight nonetheless. 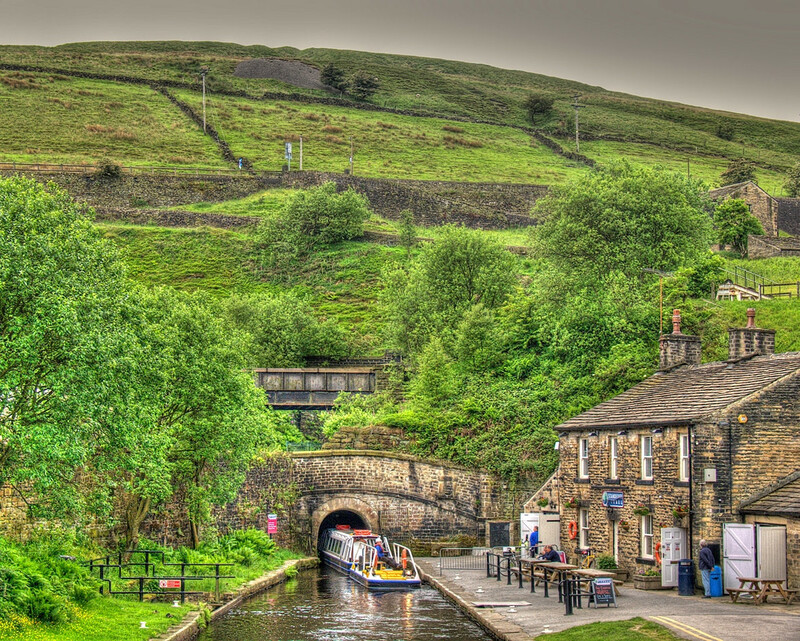 Over three miles long, the longest and deepest canal tunnel in Britain is the Standedge Tunnel on the Huddersfield Narrow Canal in Northern England. 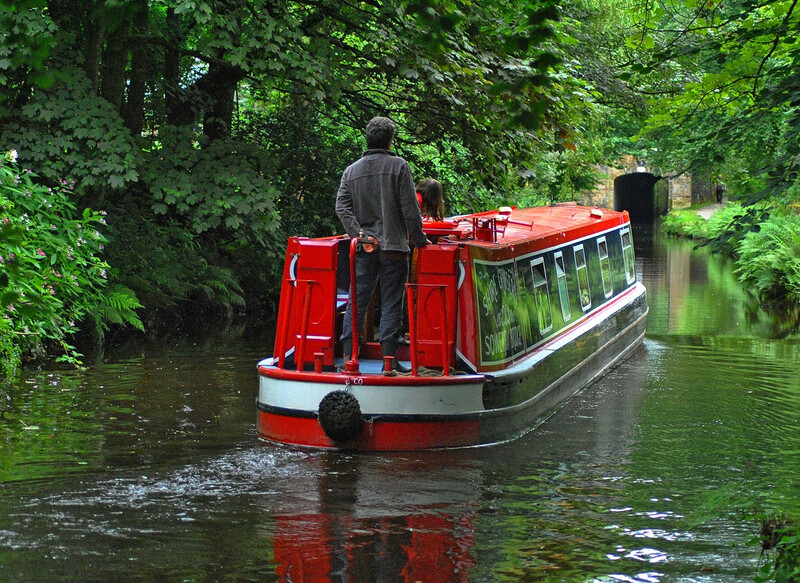 Since March 30th 2009, boats have been allowed to pass through Standedge Tunnel under their own power accompanied by a trained “chaperone” from the Canal & River Trust. 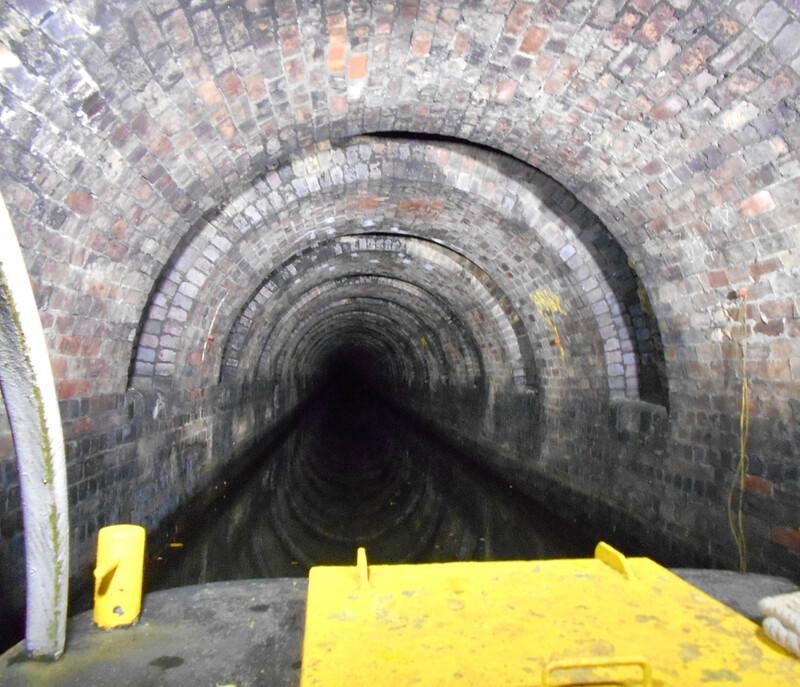 Built without a towpath, before motorized boats the only way to get through the tunnel was by “legging” it. 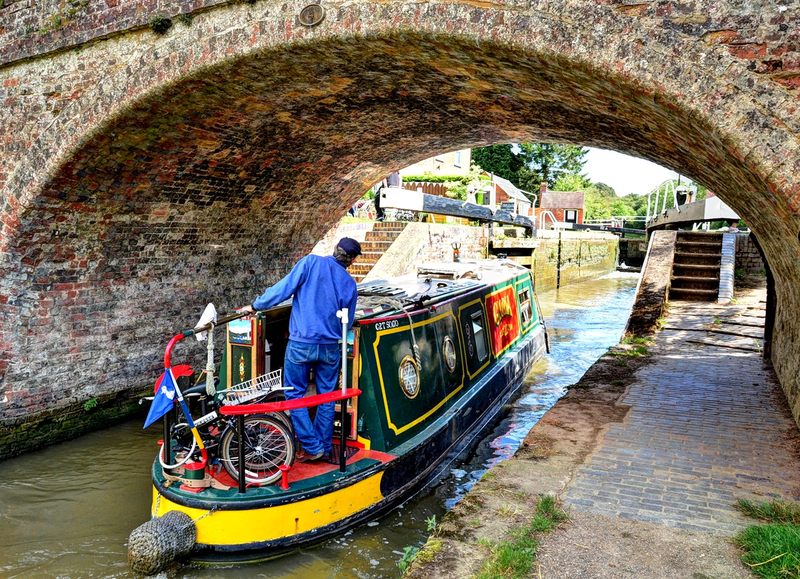 Lying on a plank across the bows of the boat, and holding the plank with their hands, two people would propel the boat with their feet against the tunnel wall. 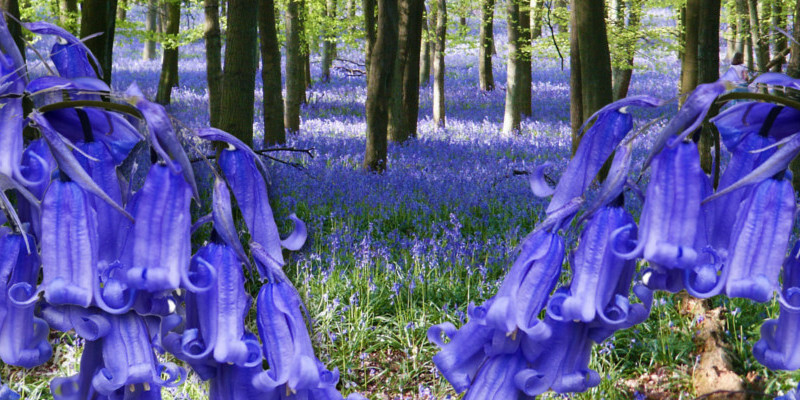 It was dangerous work, leading to many deaths for the “leggers” until safety was improved. 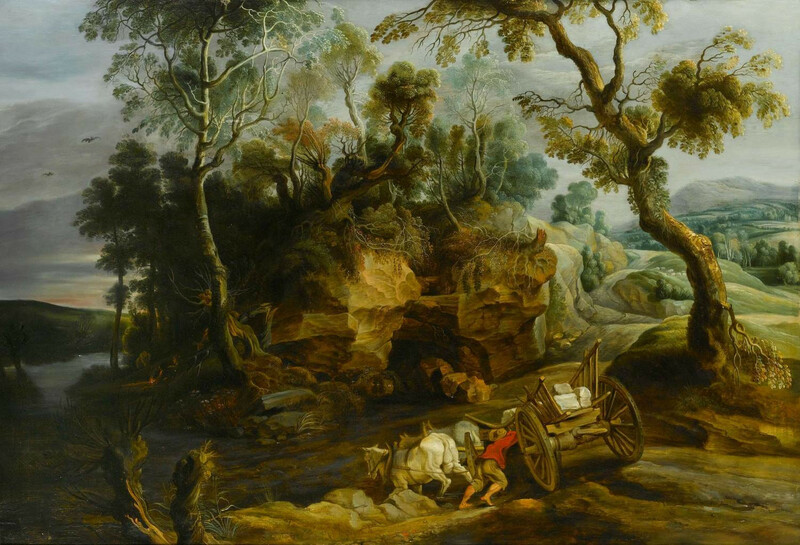 The horse would take a well-earned break and be led over the hill. 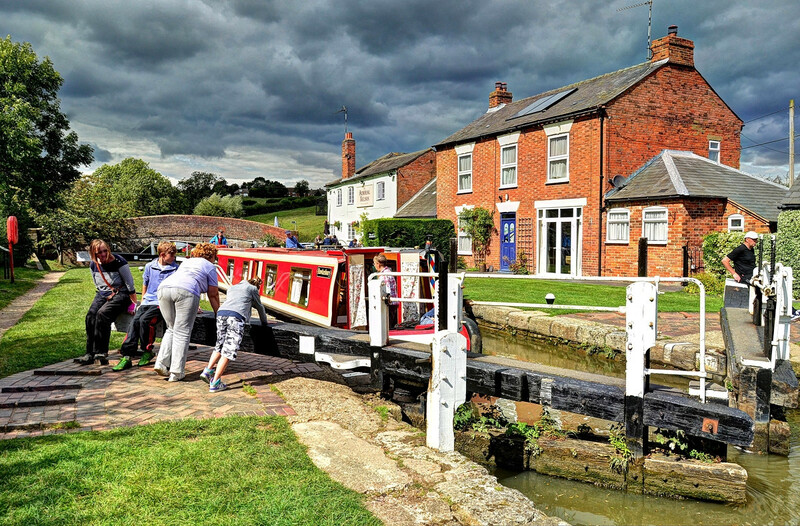 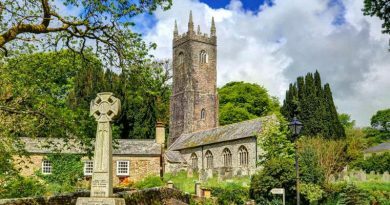 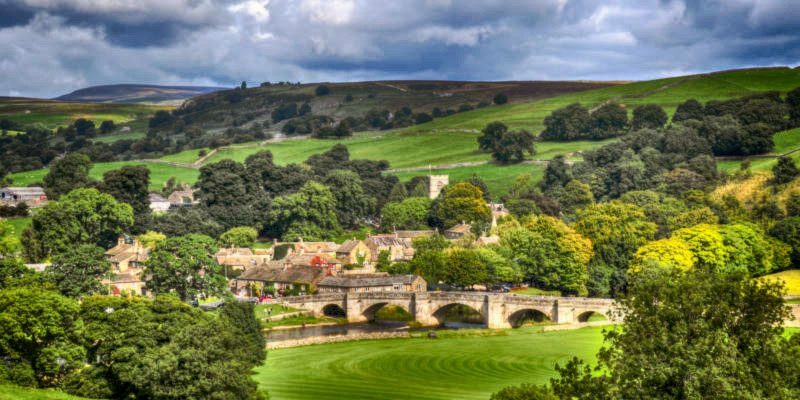 Britain’s canal network passes through not only historic cities and pretty towns and villages, but also the magnificent open countryside. 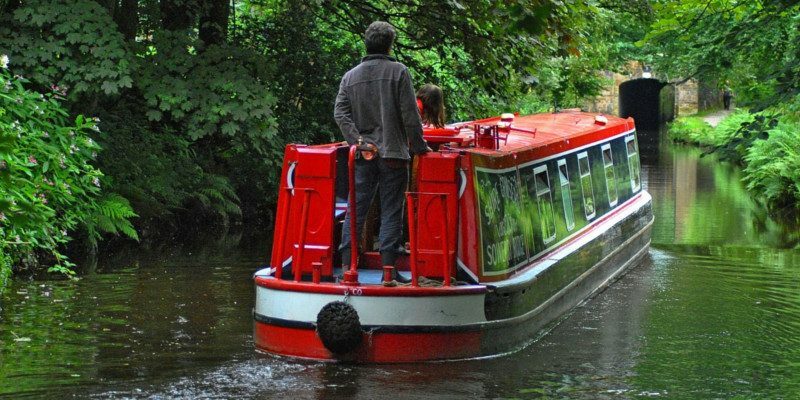 You’re guaranteed to see some stunning wildlife on a daily basis in and around the canals. 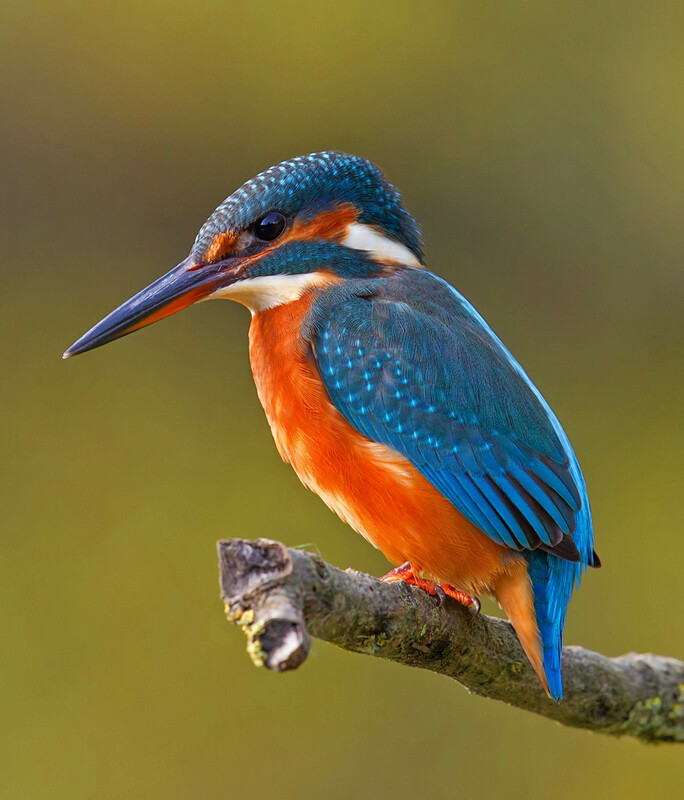 If you don’t spot the brightly coloured Kingfisher perched on the canalside, you’ll almost certainly see one darting across the water as a characteristic “blue streak”. 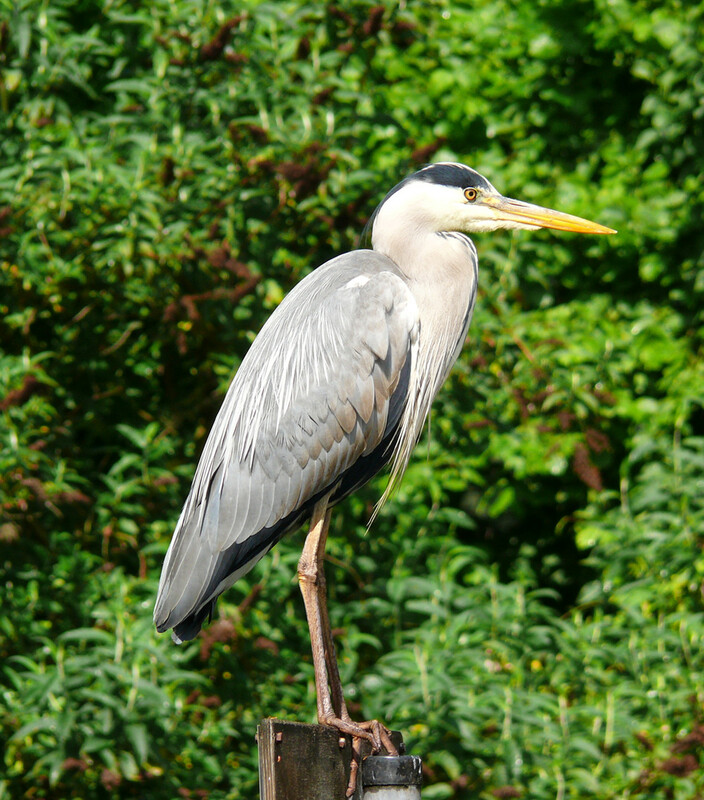 And you’re bound to see one of these guys—a Grey Heron—the patient fisherman, waiting motionless for the right moment to wade in the shallows and show us what a master angler can really do. 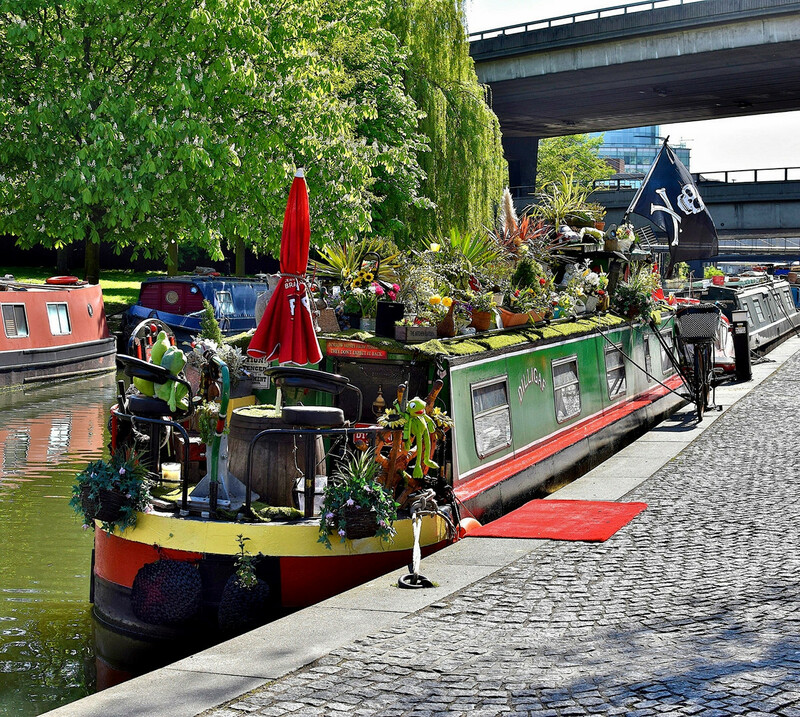 Passing along the Grand Union and Regent’s canals, to the Docklands and Limehouse Basin, the London Ring lets you travel around London by narrowboat through Little Venice, Regent’s Park, London Zoo, Camden Lock, Kings Cross, Islington and Victoria Park. 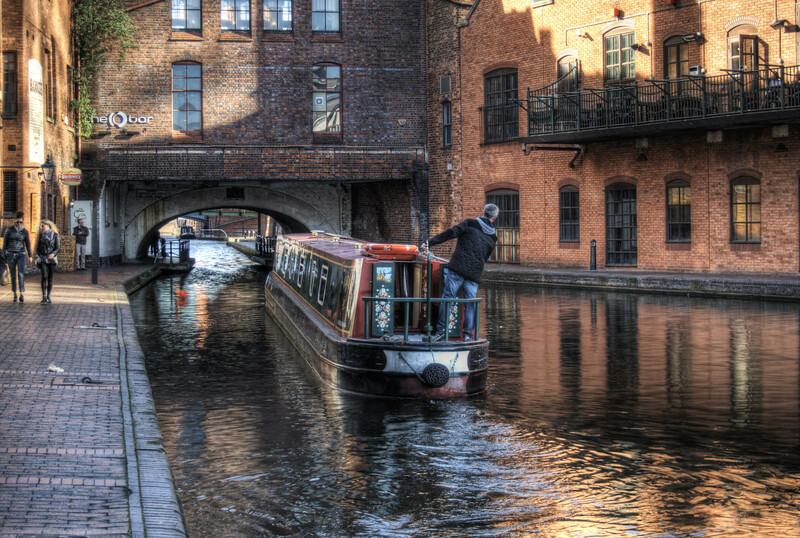 Birmingham has more canals than Venice. 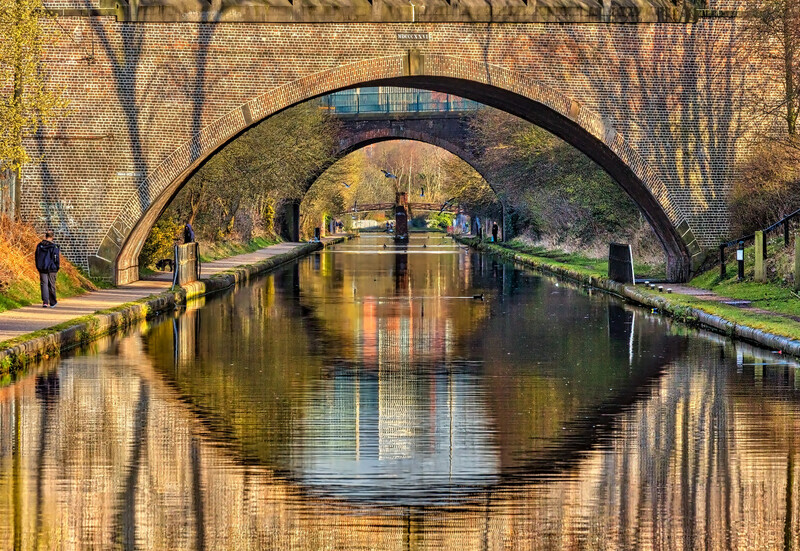 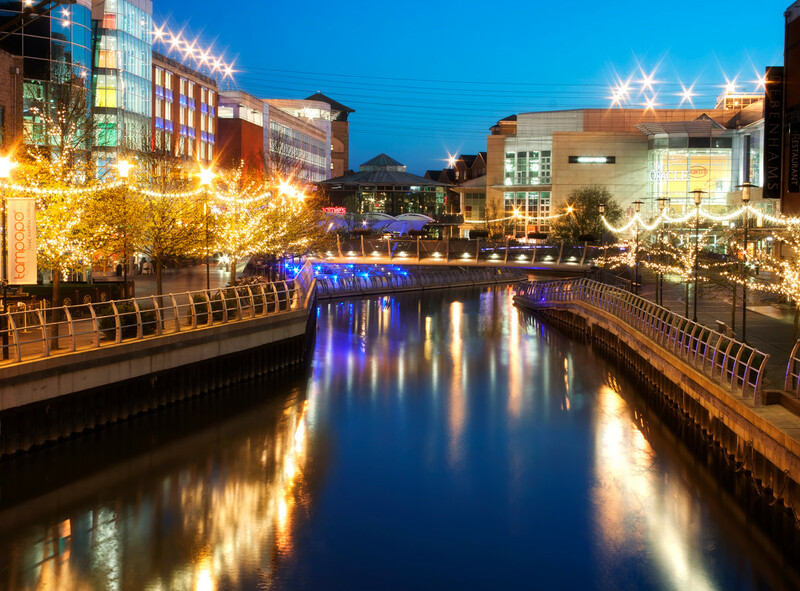 Extending to just over 100 miles, the Birmingham Canal Navigations include two long tunnels and several aqueducts. 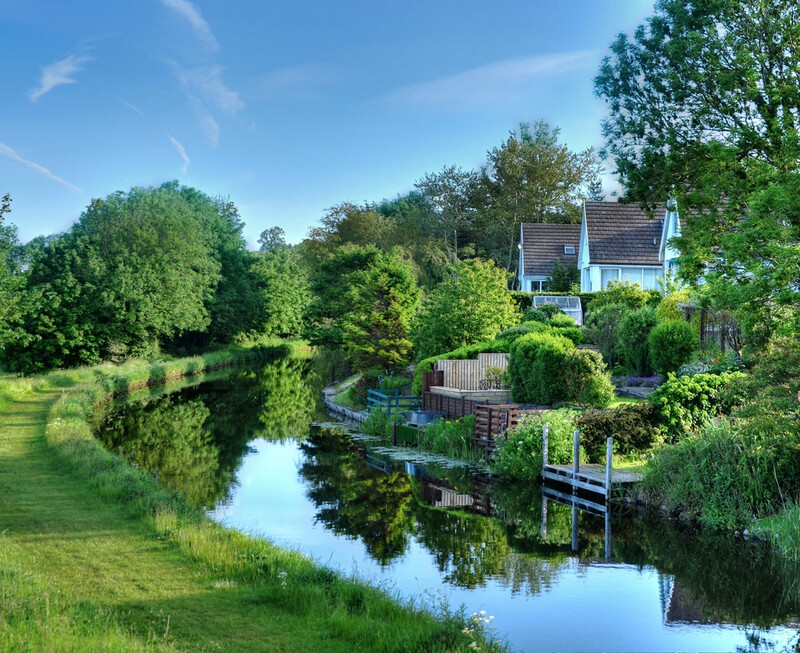 Escape into the country for some much-needed peace and tranquility or socialize with the big network of canal enthusiasts—it’s up to you. 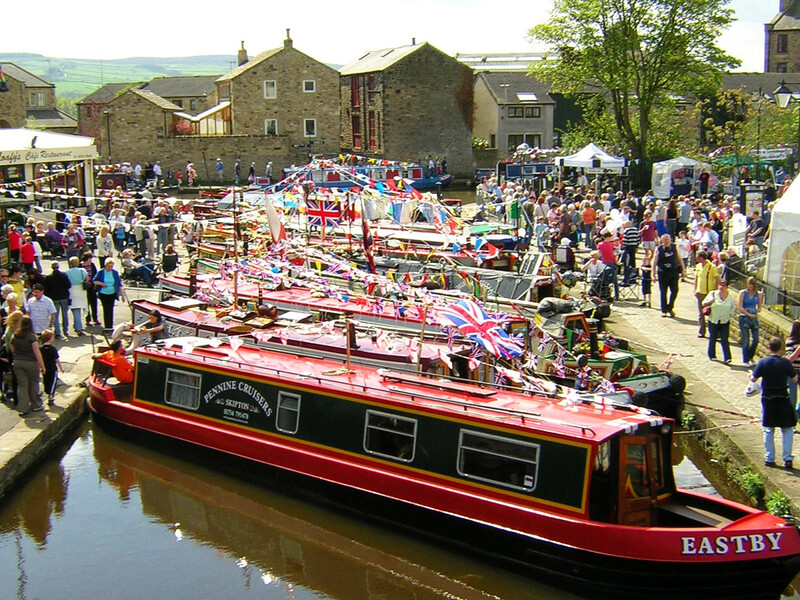 Britain’s canal community is growing by leaps and bounds. 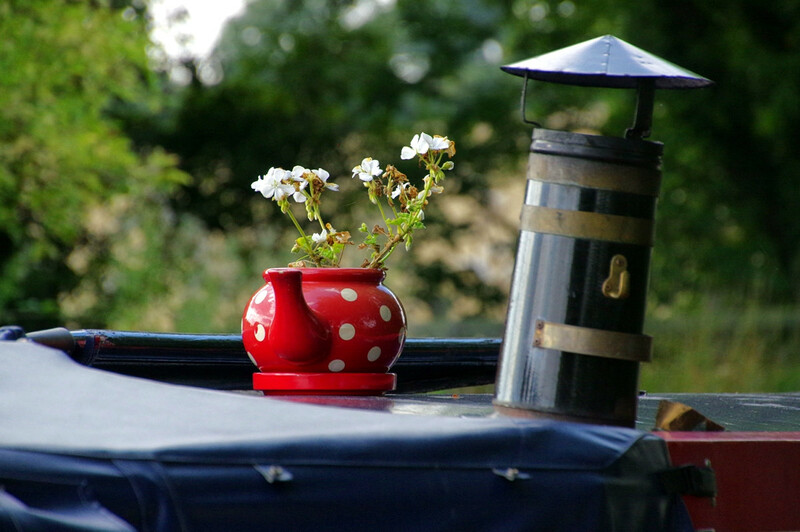 According to the Residential Boat Owners Association, as many as 15,000 people call Britain’s waterways home. 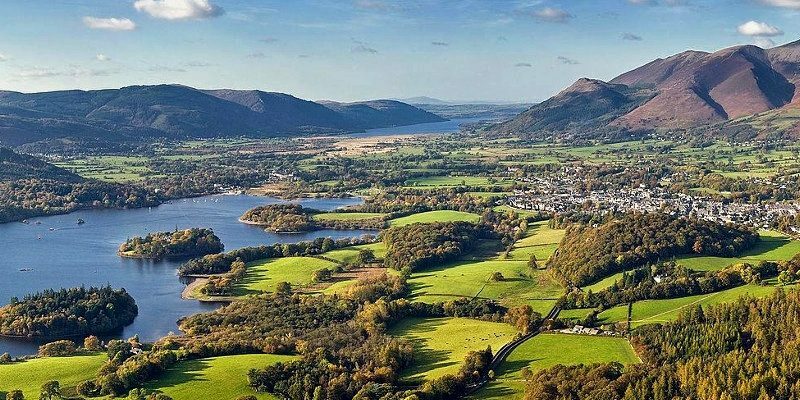 Citing freedom, economic advantages, a strong sense of community, and a closeness with nature as reasons for making their home on the water, many “liveaboards” can’t imagine returning to a life on land.